Show your pride or interest by displaying one of our professional hand finished vinyl die cut decals! Our sticker has a "2D" effect with no background as you can see in our photo which is classier than printed decals. You can easily apply to most any interior or exterior clean dry smooth surfaces. This decal measures roughly 4 inches x 5 inches overall or 10.16 centimeters x 12.7 centimeters overall. We show our decal on the rear of a very small car. Please go by the measurements we have provided and not what size you think it looks like in the photo. 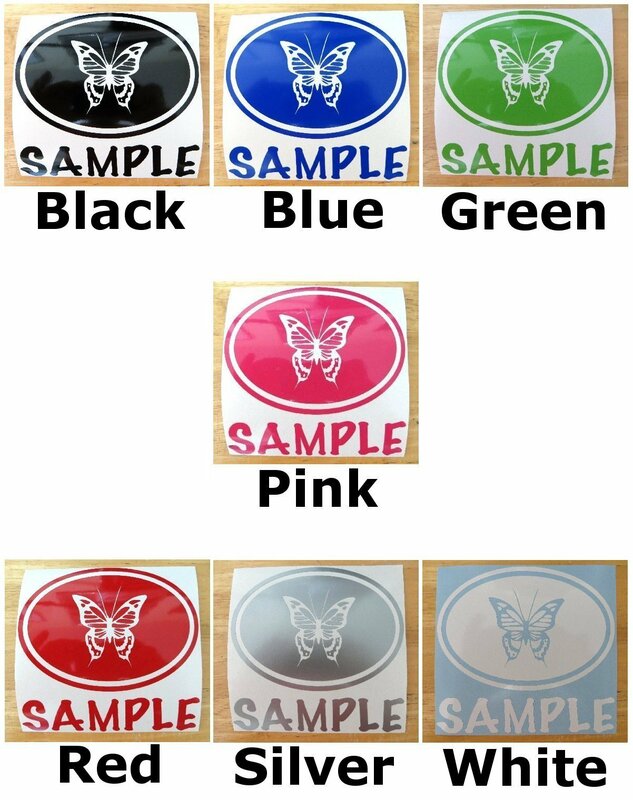 The decals below are samples to show our various color options. You can see these are one single color die cut decals so your background color shows through. Actual color shade of your decal will vary from what you see below due to computer monitor settings. The photos below show a sample decal made in both white vinyl and also black vinyl. We have applied to different surfaces to give you an idea of what the appearance would be. Quite simply most people choose a light color decal for a dark surface or a dark color decal for a light surface as the contrast is key.